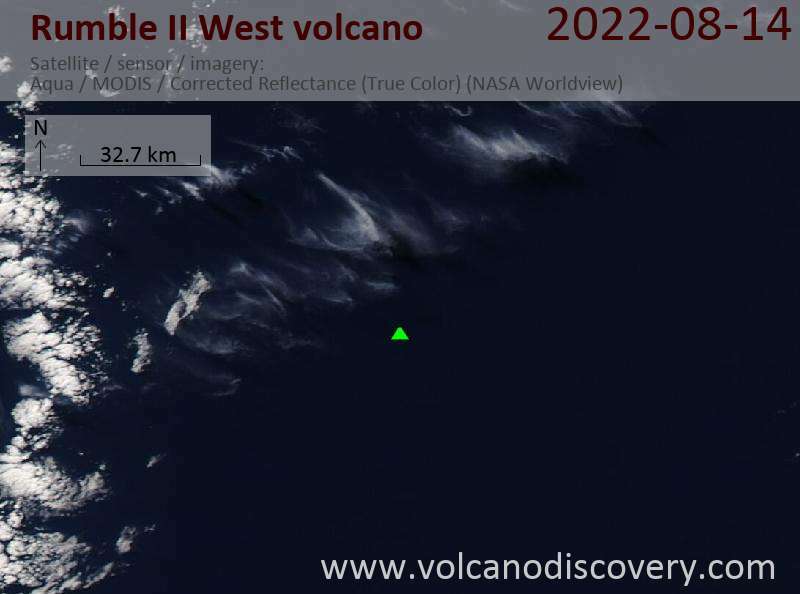 The western of the twin Rumble II submarine volcanoes, located NW of Rumble II East, displays evidence of hydrothermal activity. 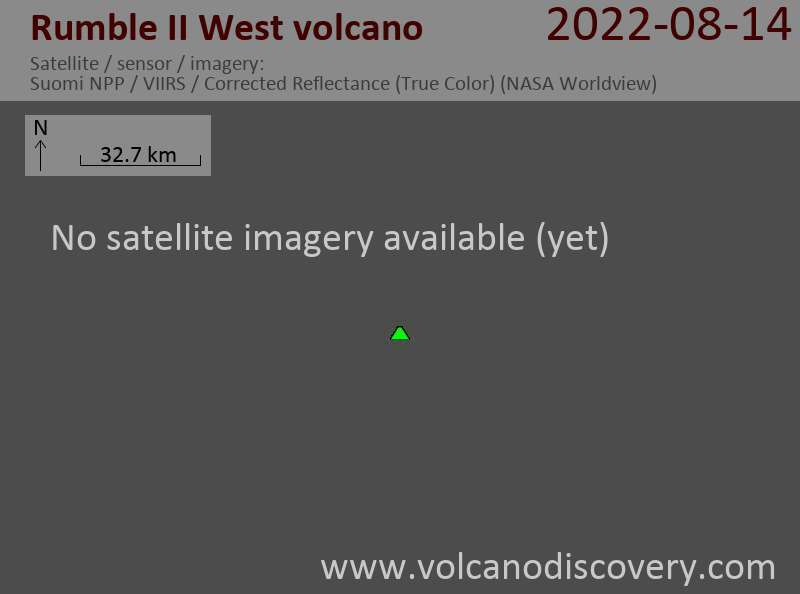 Rumble II West contains a 2.5-3 km wide summit caldera about 200 m deep with a central cone and is about twice the volume of Rumble II East. Rumble II West rises 1800 m from the sea floor to within 1200 m of the sea surface and is the deepest of the Rumble group seamounts. Satellitic cones are found on the flanks of the volcano. Recent lava flows originating from near the caldera rim with little or no sediment cover blanket the western flanks.